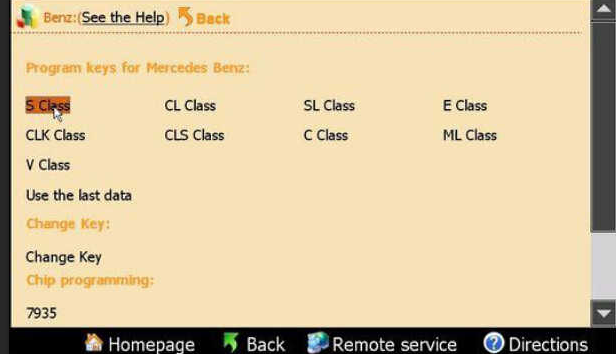 Click “S Class”, choose Automatic mode, you will see there are 3 steps to program the key for Benz W220. 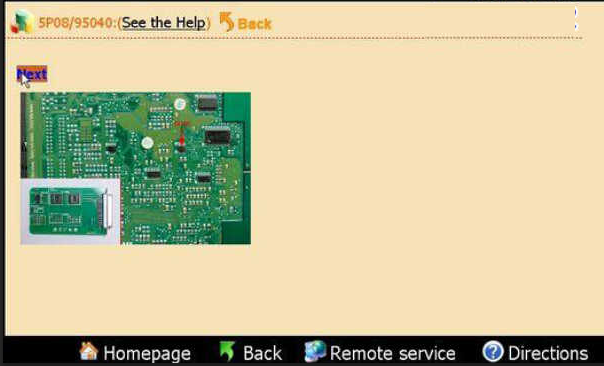 First step, program EIS, choose 05X32/1D69J to enter the following page. 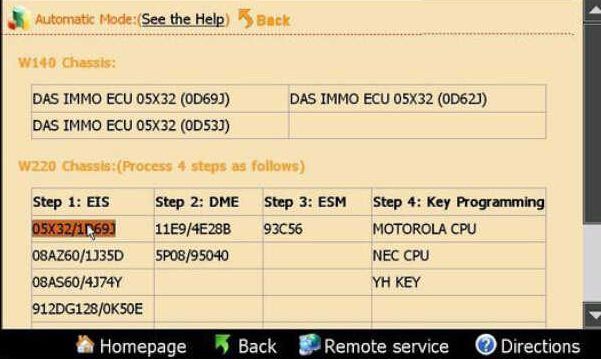 After read the data it will show the SSID information etc. 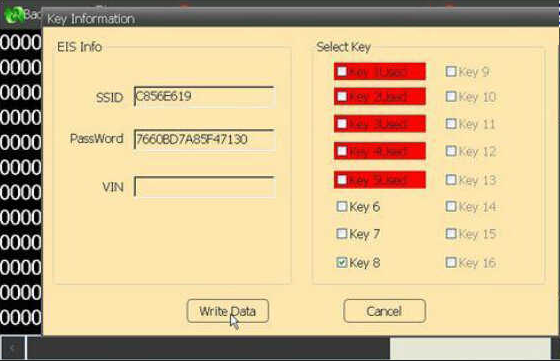 Choose the key number you want and then click “Write data” to finish the EIS adjust. Step 2:DME. 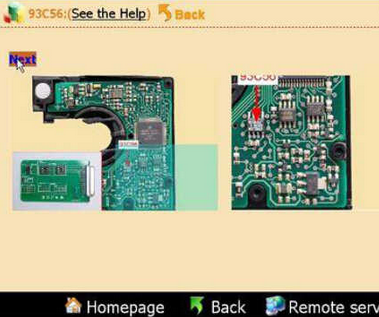 Take 95040 for example, check the picture and remove the chip to the adapter, click “Next”. 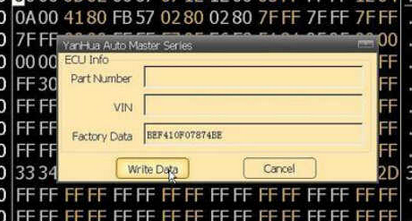 After read the data, it will show the ECU information, click “Write data” to finish the ECU Programming. Step 3:ESL. 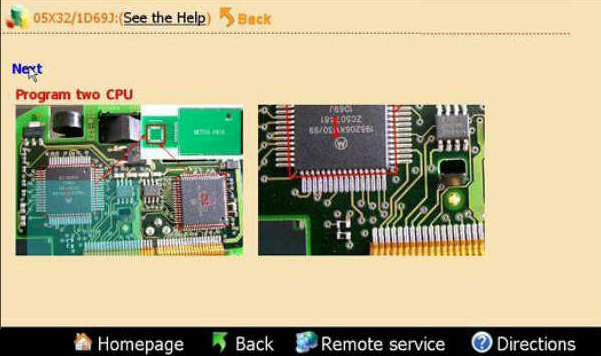 Check the picture and remove the chip to the adapter, click “Next”. click “Write data” to finish this step. 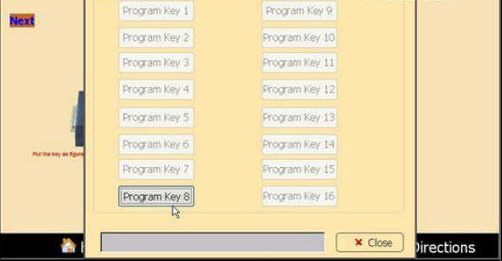 Step 4:key programming (this step is based on the data of step 1, if not implemented “Step 1” , this step can not be operated). Take YH Key for example. 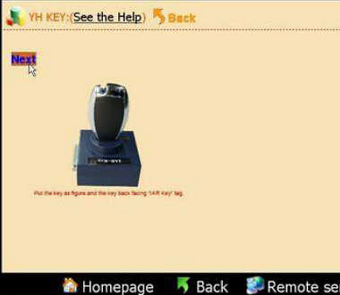 Before program the YH Key please make sure it was registered. Choose the key No. to begin key programming.